Exclusive! 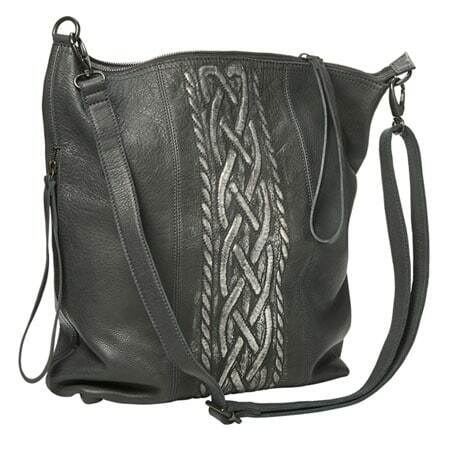 Soft, spacious, slouchy hobo has beautiful details, starting with the embossed and silvered Celtic braid down the center. 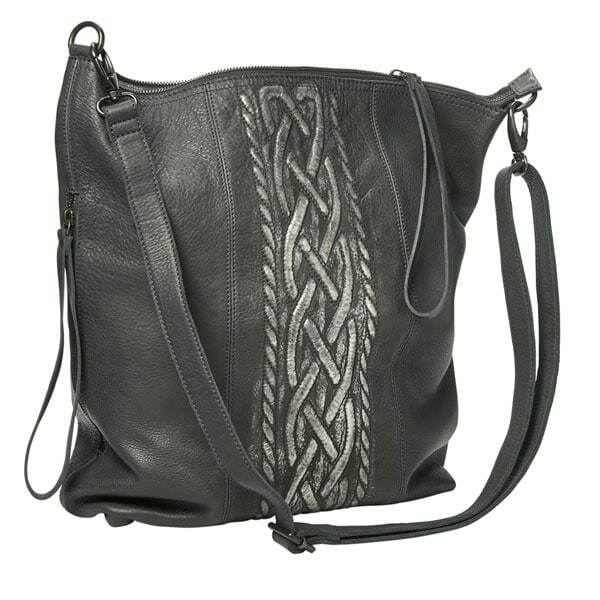 Crafted in gray leather, lined with fabric, it has a top and 1 side zipper with generous loop pulls, 2 interior pockets, adjustable and removable strap for shoulder or crossbody wear, and gunmetal hardware. 14"w x 17"h x 4"d; strap adjusts 26" to crossbody length. Imported.